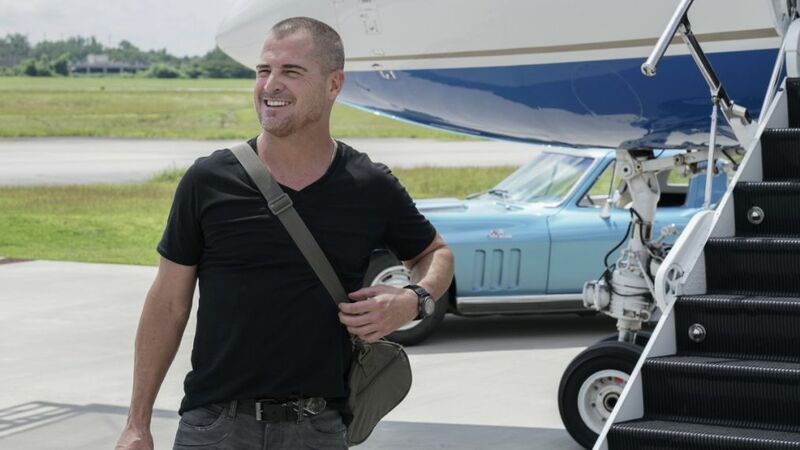 MacGyver bid farewell to co-leader of the Phoenix Foundation Jack Dalton (George Eads) in the Friday, February 1 episode. In "Father + Bride + Betrayal," viewers learned that former CIA agent Dalton once tracked a terrorist named Tiberius Kovacs, who was believed to be dead but whose body was never found. So when Kovacs is discovered to be alive after another attack, the US government asks Dalton to head up a new task force to take him down. Has Jack Dalton's replacement been found? Eads' character's goodbye was emotional, with a lot of hugs and sweet moments between him and the other team members. And luckily, the writers have left the window open for him to make a return, should he wish to. In November, the CSI alum informed showrunner Peter Lenkov and other producers of his decision to quit the show and requested to be let out of his long-term contract early, according to The Hollywood Reporter. We may not have seen the last of the fan favorite character. Eads has starred on the rebooted drama series — currently in its third season — since its debut in 2016. THR is also reporting that Eads' decision comes after voicing his desire to spend more time in Los Angeles with his daughter but the actor has also had some behavioral issues on set. He supposedly "stormed off" the show's Atlanta set in October after an "altercation" and this isn't the first incident Eads has been involved in. During his 15-year career on CSI he took a leave of absence in 2013 because of an on-set argument with a pregnant writer over "creative issues," per Deadline. The actor missed several episodes in the CBS procedural's 14th season. Eads also had issues with CSI in 2004 over salary renegotiations. He was briefly fired and then returned.